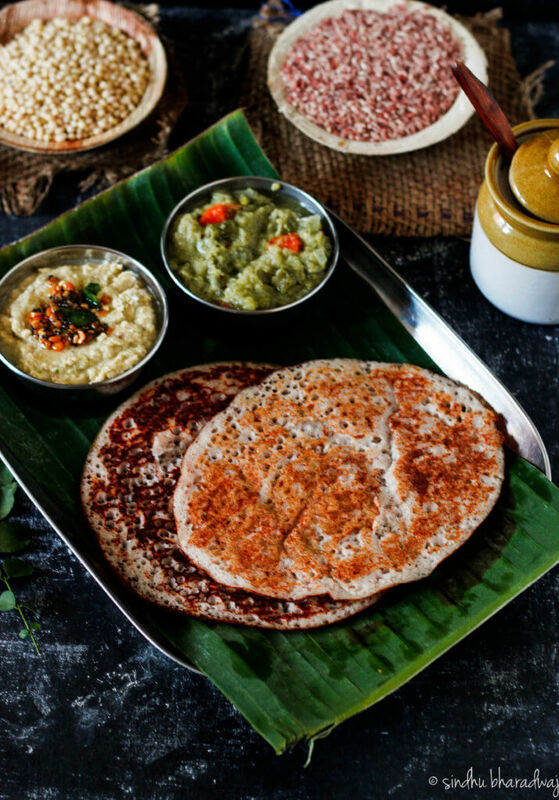 This recipe for red rice set dosa is fluffy, filling, easy and no fuss and is the most fulfilling breakfast you can have to make your mornings delicious. 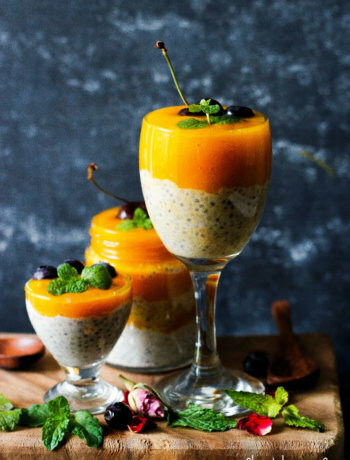 Pair it with vegetable sagu and coconut chutney to make it all the more relishing. Tastes just like the ones you get in restaurants. 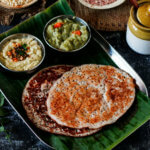 Set Dosa/Dos-ae/ Khali Dosae as it is popularly known in Bengaluru, Karnataka is a specialty that is hard to miss in most fast food joints that serve South Indian breakfast. Some of them are popular just for their Khali dosae and are thronged over the weekends and weekdays alike. Why is it called Set dose/ Khali dosae? 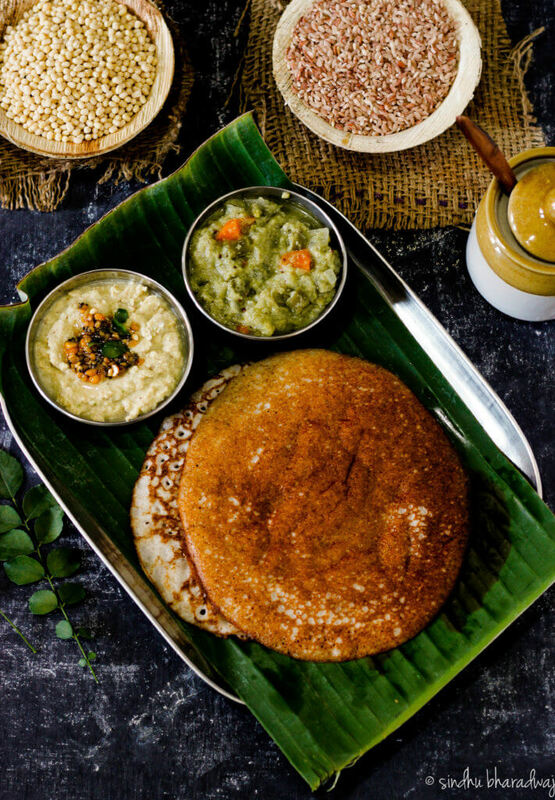 Popularly known as khali dosae, because most dosa are served with the mashed potato curry inside or rolled and served plain with chutneys and sambar on the side. This however, begs to differ as the texture and quality of the dosa is much lighter, fluffier and spongy compared to the former and there is no filling in it, hence it is called khali dose. 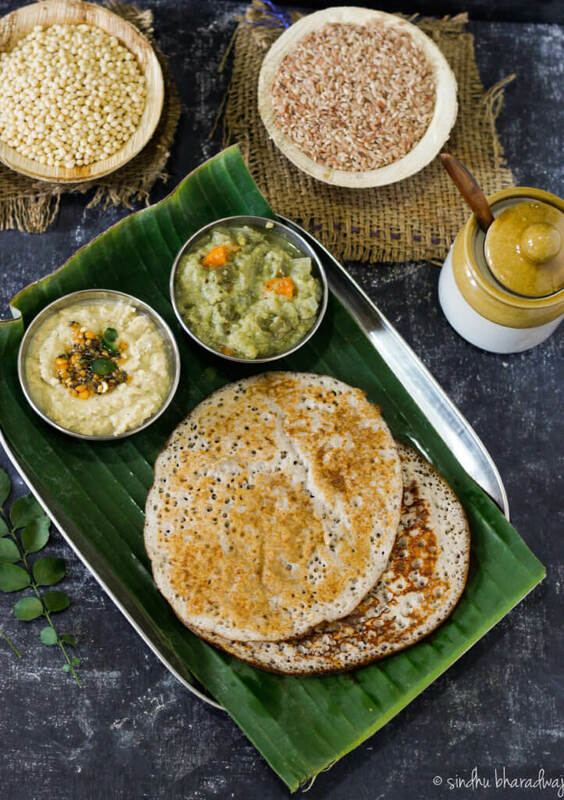 Set dosae is served in set of 2-3 nos whereas Masala Dosa/ Plain dosa is a single serving since it is not too big in size and just a single serving would not be enough to satiate the hunger pangs. Generally, dosa rice/ white rice is used to make set dosa along with avalakki (poha), but I decided to give it a try with red rice since it is a healthier alternative and is filled with fiber. There’s no count of how many times I’ve made this dish and i’m finally getting to blog about it. Just couldnt manage to find the time to squeeze in and take pictures of this, but yayy, i’m glad its done. 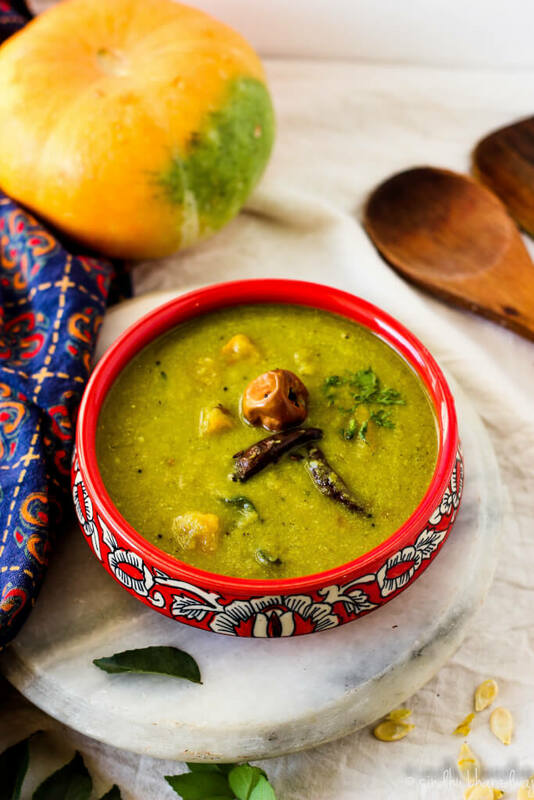 Red Rice Set Dosa can be served with vegetable sagu, coconut chutney or this delicious heerekayi sippe chutney (Ridge gourd peel chutney). Or you could simply pair it with sagu alone which tastes great. So let’s get started? 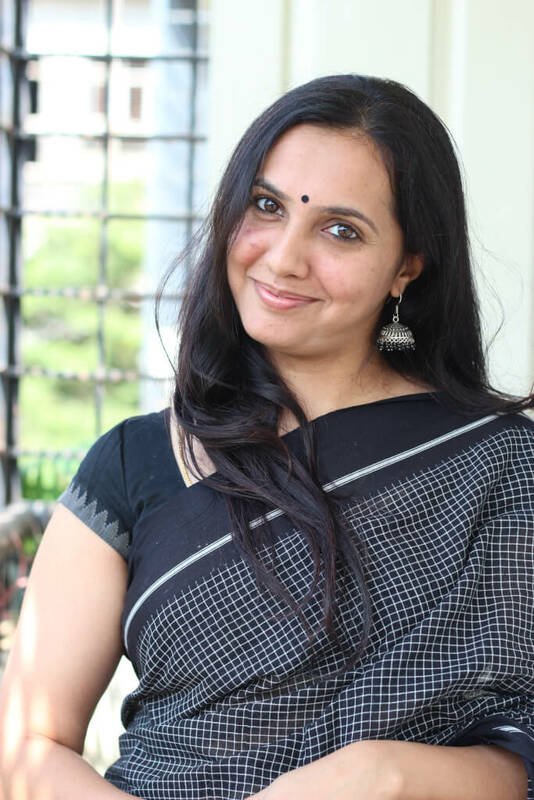 In a container mix the red rice, urad dal and methi seeds and wash it 3 times to get rid of impurities. Finally add the poha and wash it again twice. Soak them together in water and leave it for about 5-6 hours or overnight. Drain the water and keep it aside. Now, add the mixture to a grinder and slowly add a little bit of water and grind to a smooth batter. It should not be coarse at all. ensure that it is completely smooth. Transfer the batter to a deep vessel to ferment overnight or for about 6-7 hours. Heat a flat skillet and smear oil on it. Take a portion of the batter and add salt**( see notes). If the batter seems to be very thick just add a tbsp or 2 of eater and fluff it again with a ladle. Turn the flame to medium and pour the batter just once and don't spread it. Sprinkle oil and cover it with a lid. Let it cook for 1-2 minutes. Once the edges start to brown, slowly flip the dosa and cook for a minute more. Repeat the same for the rest of the dosas and serve while it is hot with sagu and chutney. ** If you want to increase the shelf life of the batter and not let it turn sour, just take a portion of the batter and add salt to it and use it immediately. 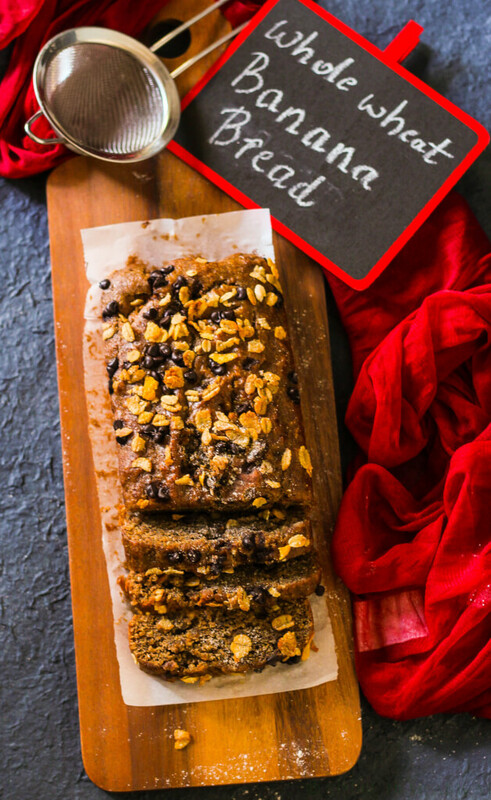 Refrigerate the rest of it and use as and when you need it. You could use white poha too instead of red poha in case you don't have the red poha at home. However, for best results, red poha works well with red rice.